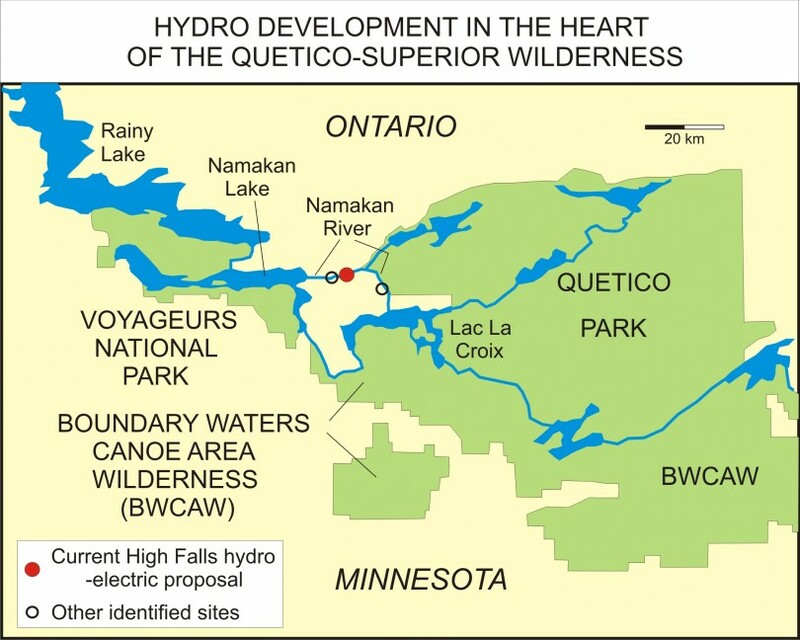 A proposed hydro-electric development at High Falls on the Namakan River poses a serious threat to the only remaining large free-flowing river in the Quetico-Superior wilderness area of northwestern Ontario and a critical ecological corridor linking three large wilderness parks, Quetico Provincial Park in Ontario and Voyageurs National Park and the Boundary Waters Wilderness in adjacent Minnesota. Because of its large size and free-flowing nature, the Namakan is home to a thriving population of Lake Sturgeon, a designated threatened species in Northwestern Ontario. Detailed scientific studies have documented the migration of Lake Sturgeon up and down the river between Voyageurs National Park and Quetico. Hydro dams are known to cause drastic declines in this species. Hence, hydro-electric development of the Namakan is considered a grave threat to this species. The Namakan is also the only known location of the Pygmy Snaketail dragonfly in Ontario. As a result, the Pygmy Snaketail was recently designated as an endangered species in the province. Studies have shown that the habitat of the Pygmy Snaketail is also at great risk from hydro development. The river forms a key link in the network of historical wilderness canoe routes of the Quetico-Superior region. It has been utilized by First Nations for millennia, by the Voyageurs as part of the fur trade route across the continent and by recreational paddlers over the past century. High Falls, the site of the proposed generating station and dam, is the most spectacular of the rivers falls and rapids. Numerous environmental organizations and scientists in both Canada and the United States have expressed alarm at the proposal for hydro development at High Falls on the Namakan, because of serious negative implications for the Quetico-Superior wilderness, the ecological integrity of the three large parks, species at risk such as the threatened Lake Sturgeon and endangered Pygmy Snaketail dragonfly, and the wilderness canoe route network. The original proposal for this development was put forward by Ojibway Power and Energy Group, a partnership of Chant Construction and Lac La Croix First Nation, in order to help resolve long-standing economic difficulties faced by the community. The proposal reached the draft Environmental Report stage in 2010. The draft Report received widespread criticism for its lack of scientific rigour. Chant Construction is no longer involved with the project, its role having been assumed by Gemini Power. Environmentalists were informed in early 2013 that the project had been dropped, but have since been surprised to learn that, on the contrary, the project is continuing to be pushed forward. As a result Canadian and American environmentalists have become re-engaged, are seeking clarification on the current status of the project, and are asking the Ontario government to work with the community to resolve its economic difficulties with projects that do not threaten the ecological integrity of the area and its wilderness parks or its internationally recognized network of wilderness canoe routes. 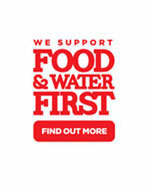 Proponent: Gemini Power (High Falls); Ojibway Power and Energy Group (Myrtle Falls and Hay Rapids).